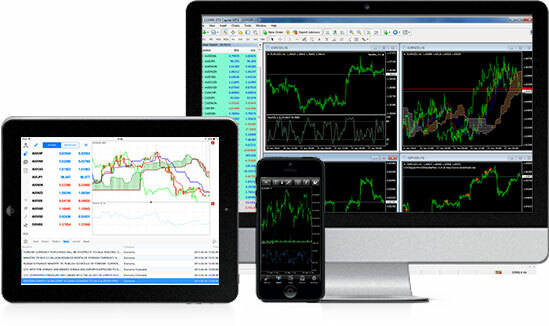 MT4 or MetaTrader 4 is one of the most popular forex trading platforms in the world. Spread betting companies that provide MT4 give clients the ability to upload and purchase custom indicators, then run automated trading strategies based on pre-set technical perimeters. Traders can also follow “Expert Advisors” and trade based on established FX strategies without the need to manually execute trades. There are only a few spread betting brokers that provide access to MT4. You can compare top MT4 brokers here or check out our best MT4 broker summary below. IG, are one of the largest brokers in the UK. Clients mainly trade via their own well established platform. However, as MT4 is such a popular choice for FX traders they recently launched an Metatrader 4 option.. IG MT4 spread betting offers spread on EURUSD from 0.6 points, free VPS for expert advisors, free broker apps and 18 free bespoke add-ons and indicators. Find out more about IG MT4 spread betting here. ETX are one of the most established spread betting brokers. As well as their own platform, clients can trade FX, Index and commodities through MT4. Apply for an account or find out more here. Core Spreads are one of the newest MT4 brokers in the UK. Core Spreads objective to to provide the tightest spreads in the industry but offering an execution-only platform (i.e. now news, analysis, or trader tools). For spread bettors looking to reduce trading costs Core Spreads MT4 offer a simple, quick and easy to use trading platform find out more. For new clients they also offer a 50% rebate on your first month’s trading costs (which is a bit like an uncapped welcome bonus (sort of)). Other spread betting brokers that provide MT4. Intertrader Direct provides access to MT4. An Intertrader direct accounts is aimed at the slightly more sophisticated customers than the white label of Capital Spreads, InterTrader. InterTrader (although a trading name of London Capital Group) is owned by bwin.party. They are listed on the LSE and also operate Bingo, Poker, Sports Betting and online Casinos. One of the original and biggest spread betting brokers. City Index can provide access to the markets via MT4 as well as their own online platform. If you are looking for superior liquidity and higher levels of regulatory protection it is always sensible to go with brokers headquartered in the UK and fully regulated by the FCA. For more information on spread betting companies, you can compare them all here. If you want to actually convert one currency from another then you need a currency broker.